The New Development Bank is discussing several projects with Russia. 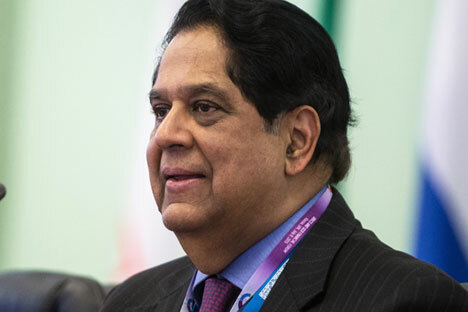 The BRICS New Development Bank (NDB) is planning to expand its project pipeline in 2017, the bank’s president Kundapur Vaman Kamath, told TASS in an interview. The value of the projects may reach the tune of $3 billion, he said. According to Kamath, Russia and the NDB are in advantage stages of talks on several projects. The NDB also plans to hold talks with national development and commercial banks, including Russia’s Vneshekonombank (VEB). The BRICS Bank also has plans to access local markets. Such plans should be firmed up by June-July, Kamath told the news agency.